Network related issues are common problem in our field and at some point everyone has smaller or larger issue regarding, network connectivity or speed. In this article we will be providing some insights on how to investigate the issue manually and what information is needed in order for us, to check your issue and determine the cause of the problem sooner rather than later. In the picture above you may see that the ms highly increases from 7th to 8th hoop, this can suggest few things: there is a long distance between these hoop; The server/router at hoop 8 may have some unusual high load or other difficulties and slows things down. It could be temporary due to hardware issues at the point 8th, or it can be permanent due to long distances between 7th and 8th hoops. However, this specific issue can not be solved by a user or a Hosting provider directly, as it is most likely just a middle point and is handled by 3rd party Internet Service Provider (ISP). This tests provides you the full route and specific point that the packets pass when traveling from a server to your location (or vice versa). Also, the percentage of lost package and the ping (last, average, best, worst). Also, while you performing the test, the packets are constantly being sent so you can see how the information changes in the results - if the pings increases or decreases or stays. Column StDev provides the standard deviation of the latency to each host. The higher the standard deviation, the greater the difference is between measurements of latency. The test allows you to understand if there is a stable connection first, if the ping does not jump too much. However, if the ping jumps, it may suggest you that the connection is not stable. It also lets you understand and see at which specific point the ping is higher or the packets are lost, which than indicates where could be the origin of the network issue. The test provide a lot useful information, so we consider it to be quite informative and useful for us, when resolving similar issues. 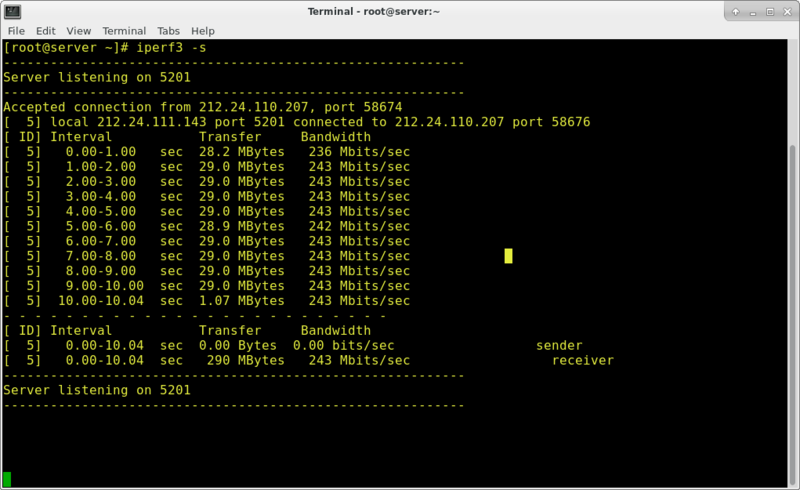 As you can see, the iperf3 is done within our servers (in this case) to make sure that the network connections and speed is good. You can see that the results are just fine, which would confirm that our network and the servers has no issue related to the network. 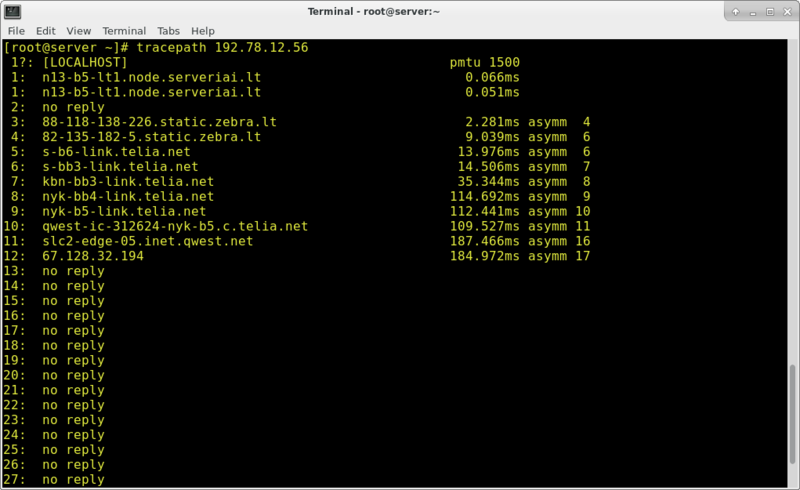 This tests could simply point you to look for the reason of the network issue elsewhere: on your side, or on the route between your location and server. 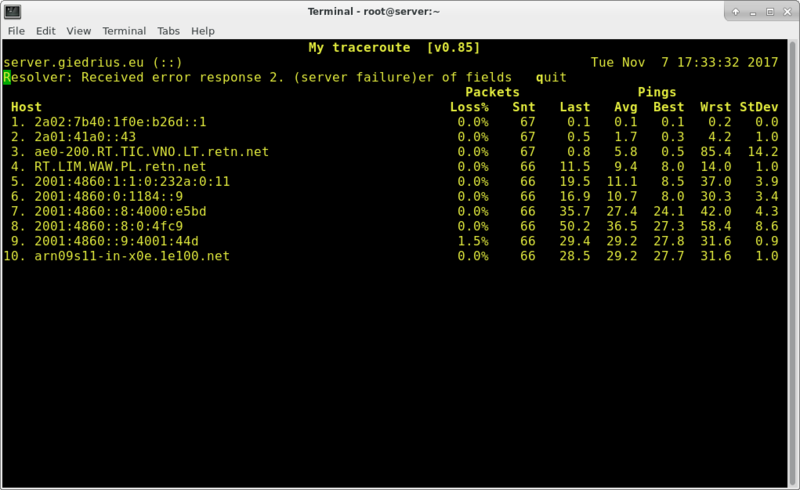 We have performed the default test, which uses the nearest server to check Download and Upload speeds. However, there are additional options and you could choose to perform the test with servers from other locations. This test simply provide the information on your network speed, it can not always be taken for granted, but it definitely provides the idea if you network speed is currently capable of having specific network speed. Besides all the tests, which there are probably some more than just these examples, other factors should be taken into account when troubleshooting network issues as well. * Overall load of the server should be considered as factor because when downloading something to your server, this action actually writes files to your server, so the more server is overloaded in general, the slower writing might get, which would then could make network speed appear slower. You may use command like top to check the active services at the moment. * When facing slow network speed, make sure to check if there is no other network resource demanding service, like torrent or possible some other download happening in the background, which may influence a new connection you may just started. * When you face a network issue, many of user try pinging to the server first in order to check it, however, the remote server could have disabled the ping to it, so you may get "no connection" and similar response, despite the server working just fine, so the command "ping" itself is not always trustworthy, we would recommend skipping it or at least do not base your conclusion on the results of ping alone. 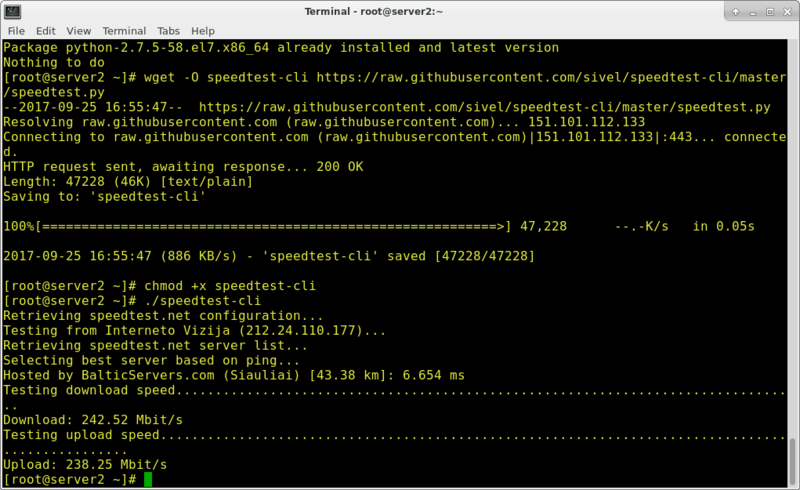 * some commands like "wget" could be used as well to determining the network speed it is a littler simpler compared to speedtest, since it does not require you to install anything, you just have to have a link which you will be using to download a file and check the speed. Note. When opening a ticket in our system, you may as well provide results of some of these tests along with your local IP address, so that our double check and further investigation could be faster.